THB Hotels now has a new responsive web, so users can enjoy their spectacular hotels from any device. It has a clean and very cool design. The destinations charge a high profile with parallax effects are discovering wonderful landscapes. 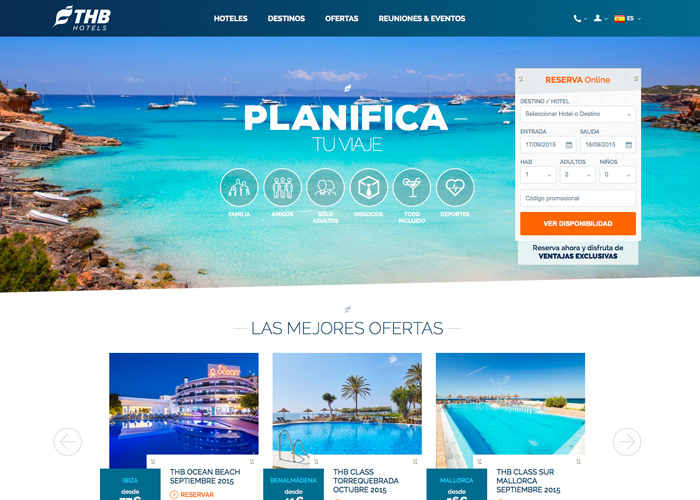 It also has in section "Plan your trip", in which the user accesses pages landings very visual, with types of travel for everyone.